Try some of the wildest combinations of flavors at these Chicago restaurants. Chicago has a flavor of its own — blending its different neighborhoods, people and cultures. Chicago restaurants have followed suit, mixing together a wide array of cuisines to create some one-of-a kind global fare. The city&apos;s chefs have found flavors know no borders, so it&apos;s time to start expecting the unexpected on the Chicago dining scene. Vermilion&apos;s Latin-Indian cuisine is spicing up fusion food. The combination of the two countries&apos; fierce flavors does not disappoint. For the main course, the traditional Indian Chicken Tikka Masala is a must try, but the Tandoori Skirt Steak is the star of the show. Chef/Owner Rohini Dey combines a Latin skirt steak with Indian flavors in this dish, which is considered sac religious in India but also happens to be sinfully delicious. A vegetarian option prepared with Portabella is also available. Don&apos;t even think about missing dessert - the sticky toffee pudding and the caramelized bananas are to die to for! This modern "Mom n Pop" establishment is of the city&apos;s trendiest dining options. The restaurant may be small, but it&apos;s flavors certainly aren&apos;t. The younger generations can&apos;t get enough of their Korean-New American food located off the beaten path in the neighborhood of Avondale. The Baked Potato Bing Bread is one of Parachute&apos;s most popular dishes. The potato bread is baked with bacon, scallions and cheddar cheese and brushed with sesame oil before it&apos;s skillet fried and oven baked. The chewy and crispy creation is then served with a sour cream butter. The only restaurant in Chicago with "Macanese" food is Fat Rice. Their menu consists of a fusion of cuisine from Macau (the Portuguese province of China) along with strictly Chinese and Portuguese dishes. Adventurous eaters, order the Arroz Gordo or "Fat Rice in english, for which the restaurant was named. The dish is similar to paella and is usually reserved for special celebrations in Macau. 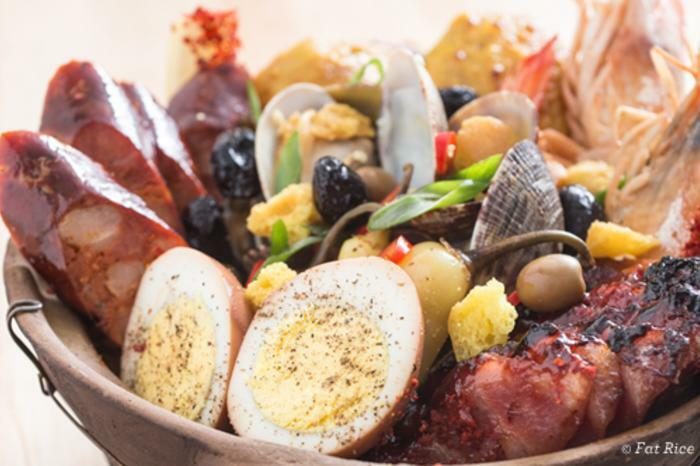 The bottom layer is made up of jasmine rice is mixed sofrito, chorizo and salted duck and is topped with curried thighs, char siu pork, linquica sausage, jumbo prawns, manila clams, tea eggs, croutons, Portuguese olives, pickled chilies. Sauces (mushroom soy and diabo hot sauce) are served on the side. Del Seoul // 2568 N. Clark St. This fast-casual spot in Lincoln Park helped popularize Korean-inspired street food. Locals line up for tacos stuffed with tempura fish, spicy barbecue pork, sesame-chili shrimp, grilled short rib and more. Popular sides include creative dishes like kalbi poutine, kimchi-topped fries, and jumbo "lollipopped" chicken wings drenched in a sweet soy glaze. You can also dine on Korean classics, like bibimbap, bento box dinners and Seoul-style dumplings. Carnivale // 702 W. Fulton St.
It&apos;s always a party at Carnivale. 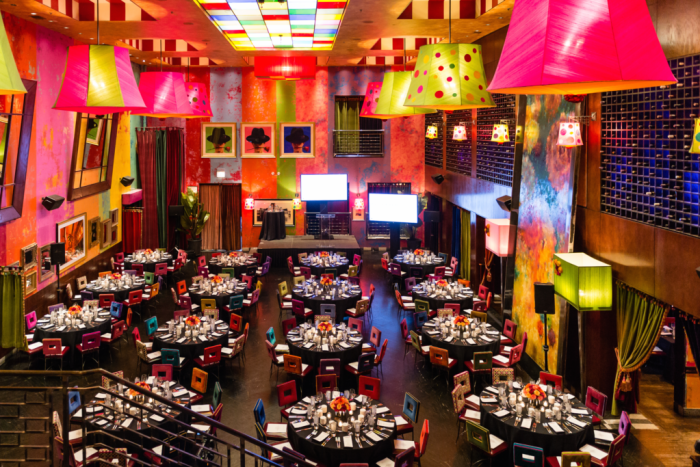 The lively Latin fusion eatery is as colorful inside as it is outside. 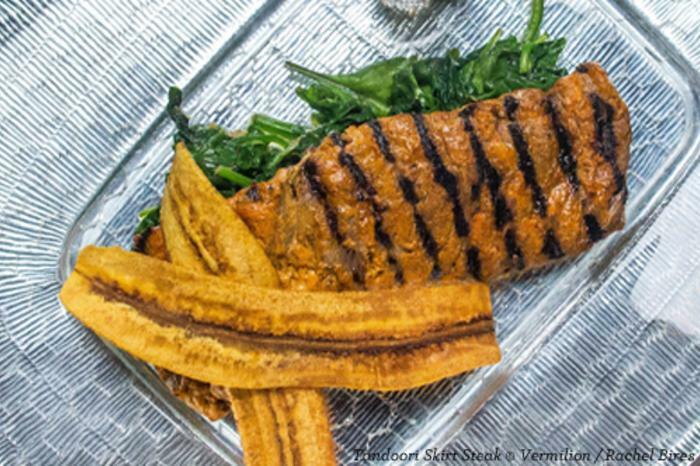 Dishes pay homage to Latin traditions, while incorporating flavors from all over the world. Dine on yucca gnocchi, rum-cured salmon, steak with bone marrow butter and housemade chimichurri, or choose from the extensive seafood bar. Come on a Friday night to see live dancers and aerialists in action. Table, Donkey and Stick // 2728 W. Armitage Ave.
Table, Donkey and Stick fuses an array of European dishes with its main flavors hailing from France, Italy, Switzerland, Austria, Germany and Slovenia. The restaurant has a relaxed and rustic atmosphere reflects the Alpine influences behind the menu. Sample the fresh charcuterie and bread that are prepared on site. For dessert, sip on the critically acclaimed hot cocoa, spiked with green chartreuse then sprinkled with tarragon powder and, of course, marshmallows. 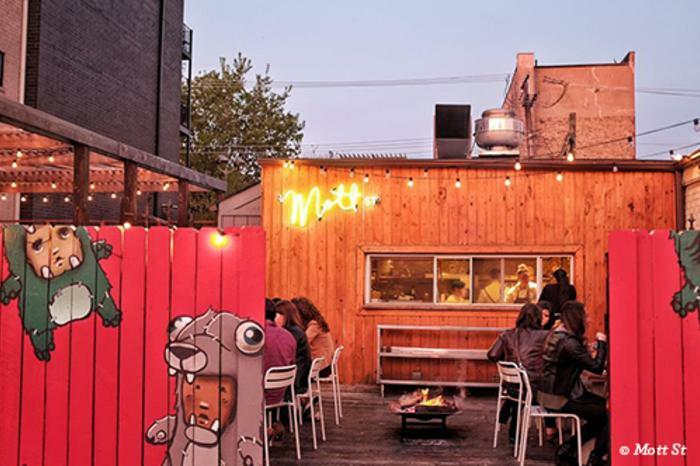 Mott Street // 1401 N. Ashland Ave. Grab a seat at the communal table and dig into mind-blowing Asian-inspired dishes. The funky and eclectic atmosphere matches the menu, which is inspired by night markets popular throughout Asia. Diners can try a melting pot of flavors, like kimchi and oaxaca empanadas or the panko-crusted beef tongue. Sit in the bar to order the famous Mott Burger, made with double chuck patties, sweet potato shoestrings, hoisin aioli, pickled jalapenos, dill pickles, miso butter, and American cheese.